We have no shortage of music festivals here in Chicago, but Riot Fest stands out from the rest by bringing in punk acts spanning generations, reuniting legendary bands, and supplying a plethora of "secret" shows around the city. I had a blast at last year's festival, and this year they've really outdone themselves with an over-the-top line-up. Now in its sixth year, Riot Fest is taking over Chicago October 6th through 10th, extending across five venues (Congress Theater, Metro, Subterranean, Double Door, and House of Blues). Each year they've been expanding in size and talent, this year featuring performances by Bad Religion, The Mighty Mighty Bosstones, and Naked Raygun. Riot Fest 2010 is also expanding into new territory - metal - with performances by High on Fire, Torche, Agnostic Front, and original line up performances by Articles of Faith and Corrosion of Conformity. Check below for a full Riot Fest run down. Unlike the rest of this five-day festival where we are overloaded with venue and band choices, we are lucky in that there is only one option Wednesday night - Double Door. 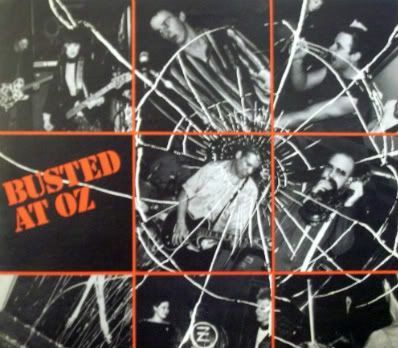 Busted at Oz was a live compilation album released in 1981 through Autumn Records, and featured the earliest known recordings of seminal Chicago punk band Naked Raygun. All of the artists that appeared on the album will be reuniting (with most original line-ups intact) at Double Door, including The Effigies, The Subverts, Steve Bjorklund with Articles of Faith (Strike Under set), Silver Abuse, Toothpaste, and Rottenfinko and The Convicts. For any fan of old school Chicago punk rock, this is a night not to be missed. All proceeds from the night will be donated to Chicago Coalition for the Homeless. Metro is the place to be Thursday night for Red Oktoberfest 2010, the annual label showcase for Chicago's Red Scare Industries. Red Scare is a Chicago transplant - the label was started by former Fat Wreck Chords employee (and current JBTV host) Toby Jeg, and was originally based in San Francisco. The night features some of Red Scare's finest - Cobra Skulls, The Copyrights, The Brokedowns, and Vultures United. Kicking off the show is Toby Jeg's JBTV co-host and Lawrence Arms front man Brendan Kelly, performing solo acoustic. Headlining the night is a band unrelated to Red Scare: politically-charged Canadians Propagandhi. With two punk legends headlining separate venues across town Friday night, we have a tough choice ahead of us. Punk rock heavyweights Bad Religion are headlining the huge line-up over at Congress Theater, and if you're thinking that there couldn't possibly be another Riot Fest act worth missing Bad Religion over, let me inform you that the legendary Dead Kennedys frontman, spoken word artist and Green Party activist Jello Biafra is headlining the show over at Metro. It's an impossible decision to make, I know. The show at Congress seems to have the all-around best line-up, including Chicago's own Lawrence Arms, plus Circle Jerks, Bouncing Souls, Off With Their Heads and X is For Eyes, but Metro far outweighs Congress in venue quality. The choice is yours. Any suburban kid who attended high school between the years of 1995 and 2000 will go nuts over Saturday night's line-up at Congress Theater. Back when I was in middle school, The Mighty Mighty Bosstones were known as "that band with the guy who does nothing but jump around on stage." While most wannabe rock stars in my grade spent their time actually learning to play instruments, I dreamt of being just like that guy (who, I've just discovered, is Bosstones' tour manager Ben Carr). Clearly, I had high aspirations as an adolescent. The Bosstones released their first studio album in seven years late 2009, and Dicky Barrett and crew will be headlining the show Saturday night. 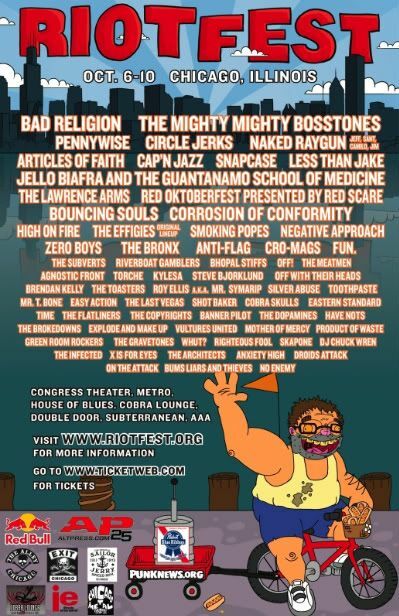 And if that's not enough suburban kid nostalgia for one night, both Pennywise and Less Than Jake are on the bill immediately preceding the Bosstones. 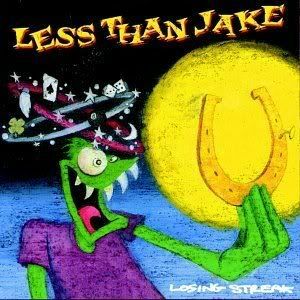 Less Than Jake is a recent addition to the show, and they're going to be playing their 1996 major label debut, Losing Streak, in its entirety. Doors open at Congress at 3 pm, and getting to the venue a bit early is recommended, as Have Nots, Banner Pilot, The Swellers, The Flatliners, Anti-Flag, and Snapcase kick off the show. House of Blues is bringing some young blood to Riot Fest this year with fun. and Steel Train. The two bands share a member - Jack Antonoff - and with conflicting tour schedules it is a rare treat to see fun. in full form. Fun. 's debut album Aim and Ignite was quite possibly my favorite and most listened to album of 2009, and after I've had the pleasure of catching them live a few times over the past year, I can guarantee an energetic show from a dynamic band. Steel Train is a newer find for me, but considering their latest self-titled album is quickly becoming my most listened to album of 2010, this House of Blues show is definitely my most anticipated of Riot Fest. If you are looking for a ska and reggae fix to round out Riot Fest weekend, check out Club Moonstomp presented by Jump Up! Records at Subterranean Sunday night. I regrettably admit I had to Urban Dictionary the word moonstomp, only to find out it is just another name for what I know as skanking, i.e. simultaneously kicking and punching the air. 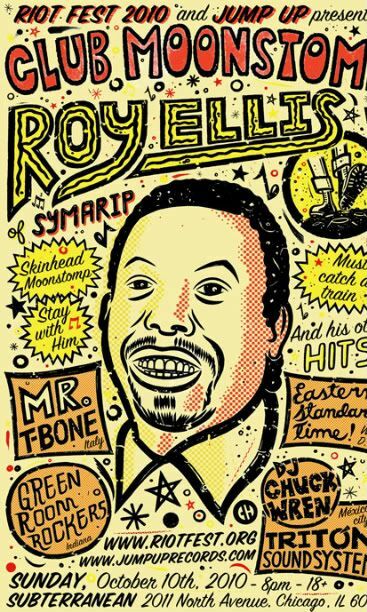 Singer Roy Ellis of skinhead reggae band Syramip (formerly known as Zubaba, Seven Letters, The Pyramids, and The Bees) will headline the night, performing his hits from the album Skinhead Moonstomp and selections from the album Skinheads Dem A Come. Also on the bill are Eastern Standard Time (comprised of former members of The Skunks, The Checkered Cabs, and The Pietasters), plus Mr. T Bone, Green Room Rockers and Jump Up! label head and the authority on old school ska, DJ Chuck Wren. Keep checking RiotFest.org for updates on secret shows, announcements and shuttle bus schedules. The festival runs from October 6th - 10th, but you'll probably want to keep an eye out for secret show announcements prior to the official start date. Riot Fest offers a multitude of shows not covered here, so take a look at the full schedule to make sure you're not missing out on any shows not previewed above. Five day passes are sold out, but three day passes, individual show tickets, and VIP tickets (which include free beer!) are available to purchase here. Happy rioting! Thanks for all of the information! This sounds like a great show and it would be awesome to see Bad Religion live. I'll be in the Chicago area in December, I hope I'll see some more concert info from you then!